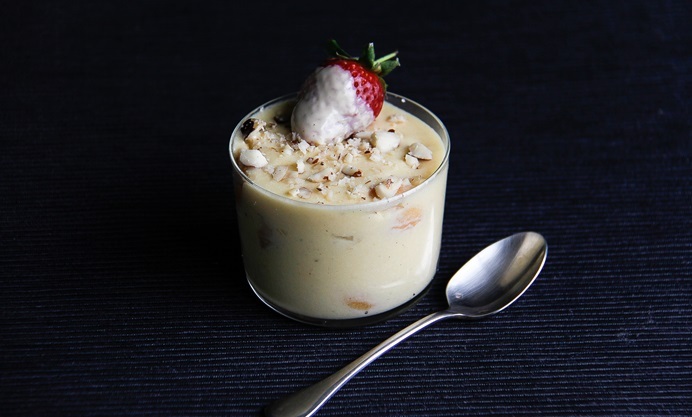 Rosana shares her recipe for the 2014 Godiva Chocolate Challenge competition; a creamy white chocolate dessert based on Godiva's Praliné Brésilienne. You might have noticed that there are a few chocolate recipes on my blog. No, that's no coincidence, I am a chocolate lover! So much so that I went on a chocolate tour on Chocolate Week last year and on another occasion I took part in a chocolate tasting masterclass. Godiva is one of my favourite brands and I enjoy eating their dark chocolate bars. So to challenge myself I decided to enter the truly scrumptious 2014 Godiva Chocolate Challenge competition in the UK and cook with white chocolate for a change. The competition: Conjure up a truly magical chocolate dessert, tick, inspired by Godiva, tick, and you could be on your way to Brussels to visit Godiva’s famous Chocolate Atelier, yes please! What’s more, your dessert will have a pride of place on the menu for a whole week at the exclusive restaurant HIX Soho, now that's a dream... that can come true! This recipe is based on their Praliné Brésilienne, but I'm adding a twist inspired by my own heritage. I transformed the truffle into a Brazilian dessert called pavé, using a Brazil nut praline, instead of a hazelnut one, adding orange for flavour and a touch of alcohol. The latter can be left out, if desired. Pavé consists of layers of biscuits (Marie or any similar to Rich teas) or ladyfingers, cream and condensed milk and more cream on top. Usually, it's made with condensed milk, but I left that ingredient out. Also, it's traditionally served in a family size dish. I must warn you, this is not a dessert for the health conscious. 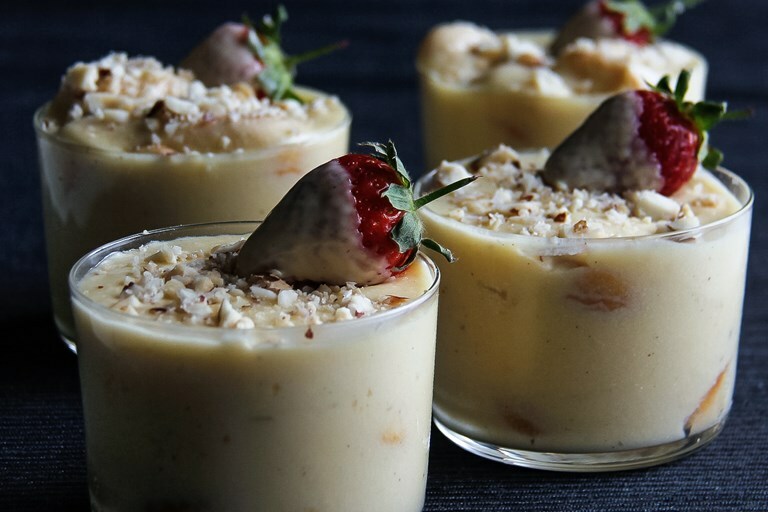 This is an indulgent dish, perfect for when you need a treat! Find out more about the 2015 competition.